Commuters from Manila may soon expect quicker trips to the south as the Department of Public Highways (DPWH) started the construction of a new toll road in Cavite. On Wednesday, March 27, the DPWH and officials of the MPCALA Holdings Inc., the project’s main proponent, started the construction of the Cavite segment of the Cavite-Laguna Expressway (CALAX). MPCala Holdings Inc. is a unit of Metro Pacific Tollways Corp. Both companies are under Metro Pacific Investments Corp. (MPIC), one of the Philippines’ biggest diversified conglomerates that includes PLDT Inc., the country’s biggest telecom company, and Manila Electric Co., the country’s biggest electricity distributor and power plant operator. According to a photo shared by the Inquirer on Twitter, the project involves the construction of a 27.2-kilometer expressway that will feature four lanes, starting from the end point of Cavite Expressway (CAVITEX) up to Silang, Cavite. The segment will involve four exits, including the Open Canal Interchange in Imus, Cavite and Governor’s Drive Interchange in Dasmariñas. According to MPCALA, the P12-billion project is expected to be completed by April 2022. 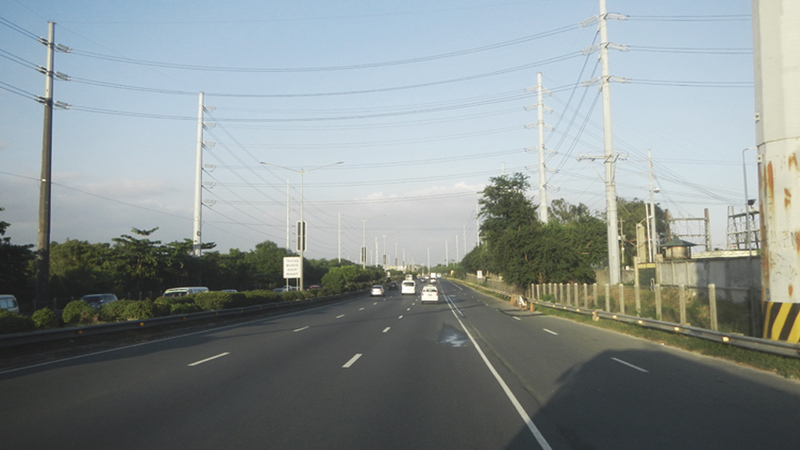 The CALAXÂisÂ45.29-kilometer expressway that will connect Cavite Expressway (CAVITEX) to South Luzon Expressway (SLEX). MPCALA already started the Laguna segment of CALAX in 2017, which also involves four interchanges that will start in Sta. Rosa, Laguna and will end in South Luzon Expressway (SLEX). According to Public-Private Partnership Center’s official website, the segment is only 28.25 percent complete as of February 2019. 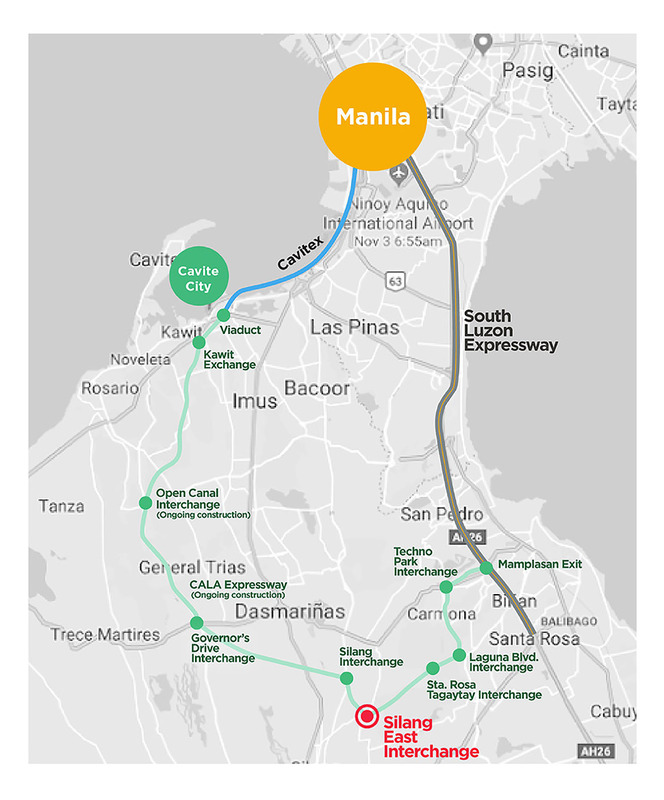 But once the entire 45-kilometer CALAX is completed, officials said travel time from CAVITEX to SLEX may be cut to around 45 minutes, from the usual 90-minute drive. MPTC is also operating North Luzon Expressway (NLEX) and Subic-Clark-Tarlac Expressway (SCTEX) in Central Luzon. It has also started the construction of the 8.5-kilometer Cebu-Cordova Link Expressway (CCLEx), its first project in the Visayas region, in 2018.